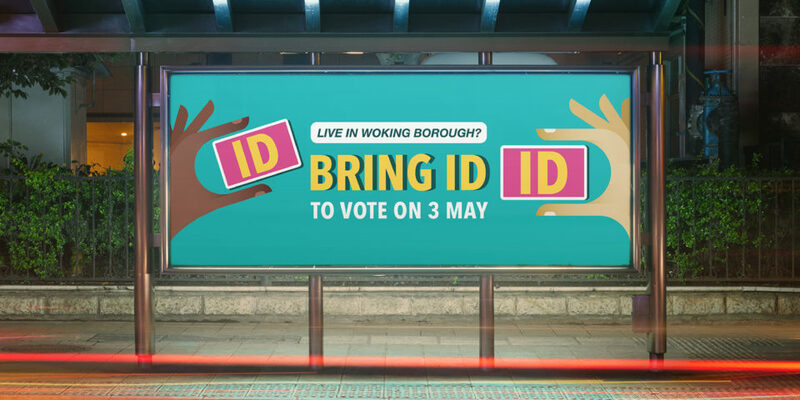 Cabinet Office asked us to create branding to pilot an awareness campaign encouraging eligible voters to bring ID to the polling station. 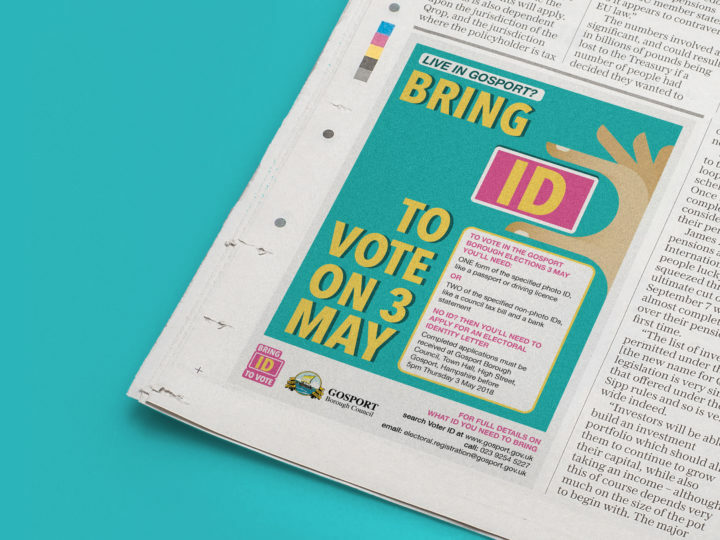 The independent report ‘Securing the ballot: review into electoral fraud’ had recommended that electors should produce personal identification before voting at a polling station. 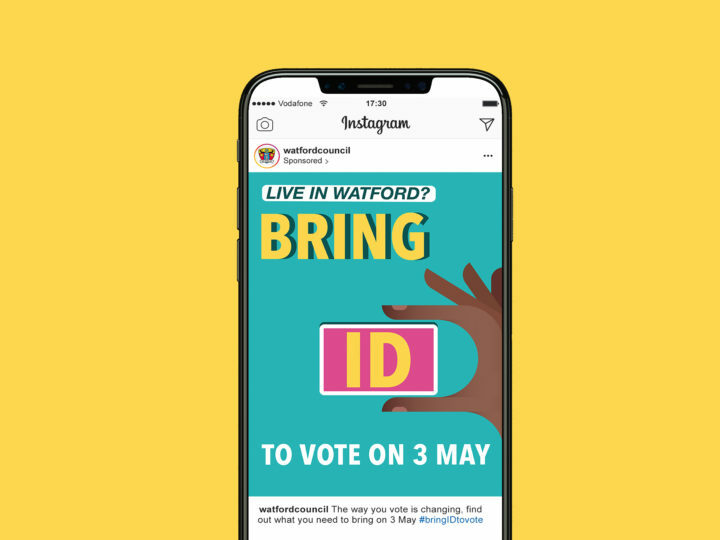 Our campaign made the point clear: you now need to bring ID to vote. 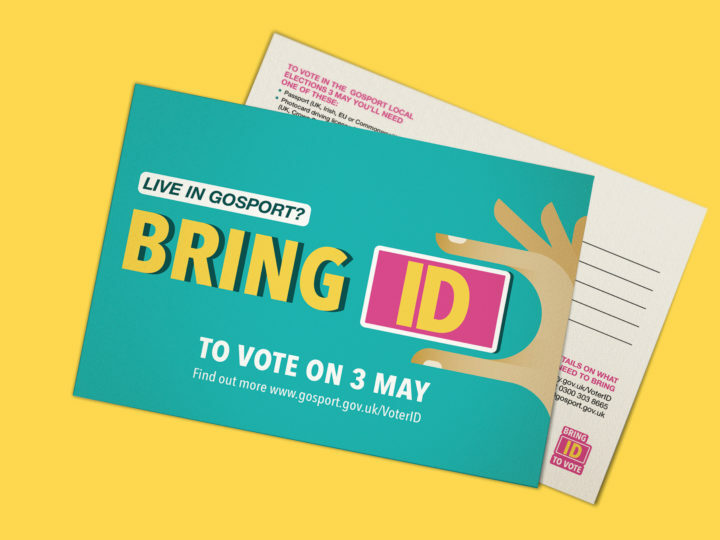 Following extensive audience testing, we used friendly illustrations to create a positive and accessible look with the required ID document at the forefront. 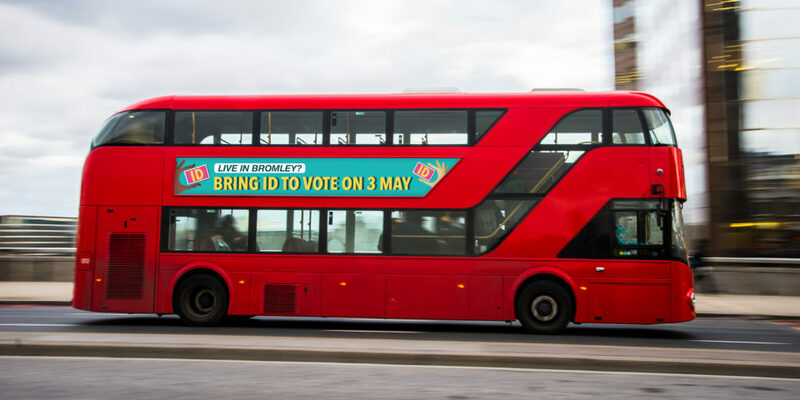 Simple, memorable instructions assert the actions local people needed to take to vote. 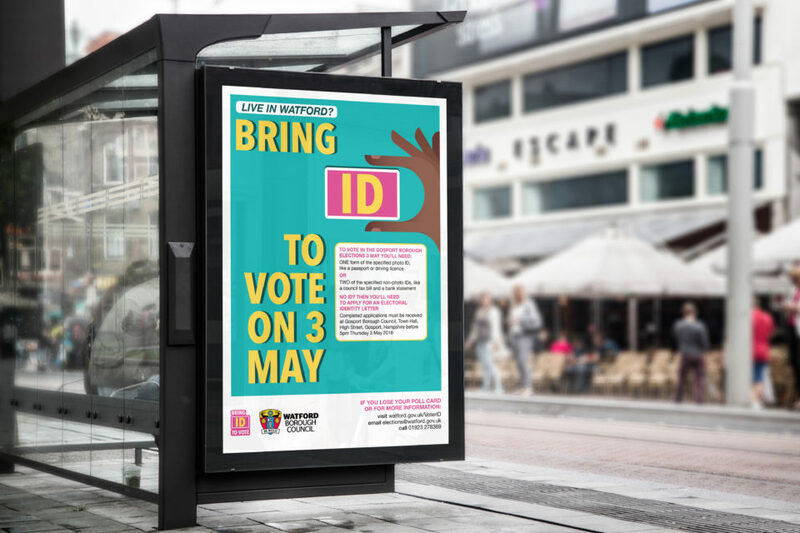 The campaign was a huge success and even increased the vote in some areas.